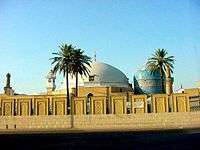 The Mawlaw'īyya / Mevlevi Order (Turkish: Mevlevilik or Mevleviyye Persian: طریقت مولویه‎‎) is a Sufi order in Konya (capital of the Anatolian Seljuk Sultanate) founded by the followers of Jalal ad-Din Muhammad Balkhi-Rumi, a 13th-century Persian poet, Islamic theologian and Sufi mystic. The Mevlevi are also known as the Whirling Dervishes due to their famous practice of whirling as a form of dhikr (remembrance of God). Dervish is a common term for an initiate of the Sufi path; the whirling is part of the formal Sama ceremony and the participants are properly known as semazen-s. In 2008, UNESCO confirmed the "The Mevlevi Sema Ceremony" of Turkey as amongst the Masterpieces of the Oral and Intangible Heritage of Humanity. The Mevlevi believe in performing their dhikr in the form of a "dance" and musical ceremony known as the Sama, which involves the whirling, from which the order acquired its nickname. The Sama represents a mystical journey of man's spiritual ascent through mind and love to the "Perfect". Turning towards the truth, the follower grows through love, deserts his ego, finds the truth, and arrives at the "Perfect". He then returns from this spiritual journey as a man who has reached maturity and a greater perfection, able to love and to be of service to the whole of creation. Naat and Taksim – Naat is the beginning of the ceremony where a solo singer offers praise for the Islamic prophet Muhammad. The first part is finished with taksim (improvisation in free rhythm) of the ney reed flute which symbolizes our separation from God. The Mevlevi became a well-established Sufi order in the Ottoman Empire by realizing a blood relationship with the Ottoman sultans when Devlet Hatun, a descendant of Sultan Veled married the sultan Bayezid I. Their son Mehmed I Çelebi became the next sultan, endowing the order, as did his successors, with many gifts. During the Ottoman Empire era, the Mevlevi order produced a number of famous poets and musicians such as Sheikh Ghalib, Ismail Ankaravi (both buried at the Galata Mevlevihanesi and Abdullah Sari. Vocal and instrumental music, especially the ney, plays an important role in the Mevlevi ceremony and famous composers such as Dede Efendi wrote music for the ayin (cycle of Mevlevi ceremonial music). The ayin text is normally a selection from the poetry of Rumi. If one buys a CD of Turkish Sufi music, chances are it will be a Mevlevi ayin. The Mevlevi Order was outlawed in Turkey in September 1925 by the new Turkish Republic. The Dervish lodge in Konya eventually became the Mevlana Museum. It is believed that since 1925, Rumi's descendants still practiced their unique form of dancing zikr, called "sama" by the Mevlevi. In 1953, the Mevlevi were given partial rights to perform sama in public but primarily because it was important as a tourist attraction for Turkey, but as a Sufi order they are currently still banned. In 1971, they performed in London with Kâni Karaca as lead singer. In 1972, they toured North America for the first time with Kâni Karaca, Ulvi Erguner, and Akagündüz Kutbay among the musicians. They performed in France, for Pope Paul VI, and at the Brooklyn Academy of Music and other venues in the United States and Canada - under the direction of the late Mevlevi Shaikh Suleyman Hayati Dede. In 2007 and 2012 the order initiated tours of the U.S. where they performed to sold-out crowds in places such as Denver, San Francisco, Portland, and Seattle. ↑ "The Mevlevi Sema Ceremony". UNESCO. Archived from the original on April 26, 2014. Retrieved 8 May 2014. ↑ Sheikh Abdul Azziz (1 Apr 2014). "Sufism Journal: Sufi History: Schools of Sufism: Rumi and the Whirling Dervishes". Sufism Journal and the International Association of Sufism. Retrieved 8 May 2014. ↑ "Mevlevi - LookLex Encyclopaedia". Looklex. Retrieved 8 May 2014. ↑ "Mevlevi Australia". Mevlevi Australia. Retrieved 8 May 2014. ↑ Mevlana Celaleddin Rumi. "Mevlana Celaleddin Rumi - The Whirling Dervishes, Sema". The Rumi Family. Retrieved 8 May 2014. ↑ Yavuz Özedmir (2013-11-18). "T.C. Galata Mevlevihanesi Müzesi Resmi Web Sitesi". Galata Mevlevihanesi Müzesi Müdürlüğü. Retrieved 8 May 2014. ↑ "About the Mevlevi Order". International Mevlana Foundation. Retrieved 8 May 2014. ↑ Koentges, Chris. "13 Things The Whirling Dervishes Can Teach You About Spinning". The Very Ethnic Project.